The Chichester Chorale was formed in 2004 under the joint direction of Arthur Robson and Mark Wardell and has given three concerts a year every year since and has also sung the occasional Evensong in Chichester and Salisbury Cathedrals. It has around 40 singers from all walks of life and, because of its association with the University of Chichester, has had a good sprinkling of students from time to time. Traditionally our spring concert has often been with professional soloists and orchestra or instrumental ensemble in and around Chichester; this has given the choir the opportunity to perform larger works in combination with the University Chamber Choir. A couple of years ago we had our first choir tour to Bruges, singing at the Menin Gate and various churches in Ghent and beyond. Over the years repertoire has included: Beethoven Mass in C, Brahms Requiem, Britten St Nicholas, Bruckner Motets, Byrd motets, Charpentier Te Deum, Elgar part-songs, Faure Requiem, Handel Coronation Anthems, Messiah, Eternal Source of Light Divine, Haydn Creation, St Nicholas Mass, Little Organ Mass, Te Deum, Nelson Mass, Insanae vanae curae, Mendelssohn Choral Symphony, Mozart Mass in C, Mass in D major, Mass in D minor, Solemn Vespers, Palestrina motets, Stanford part-songs, Magnificat and Nunc Dimittis in C, Magnificat and Nunc Dimittis in Bb, Vaughan Williams Mass in G minor, Fantasia on Christmas Carols, Verdi Requiem, Vivaldi Gloria, Magnificat, Dixit Dominus. 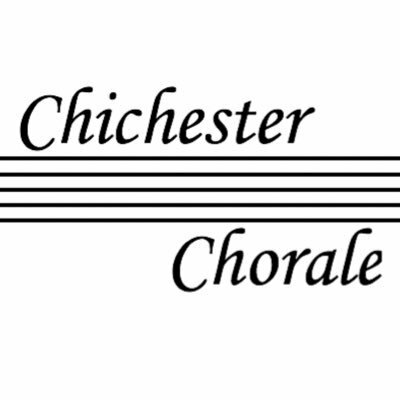 The Chichester Chorale is an auditioned group of singers and the quality of the singing over the years has been very high; sight-reading is an important skill which aids speed of learning and the range of repertoire and everyone is expected to be competent in this area.